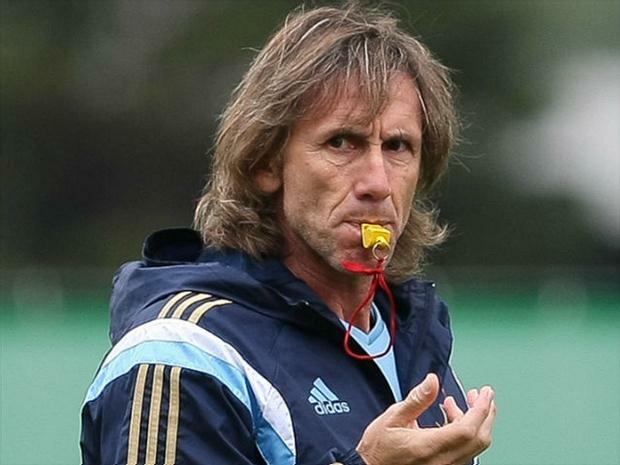 Ricardo Gareca is not the Grand Master of football coaches, nor is he a revolutionary. Still, he’s undoubtedly bringing some new thinking intothe Brazilian context – at least if judged by his first six weeks at Palmeiras. In an earlier post I’ve mentioned Gareca’s predisposition for allowing the young and promising gather experience at top level – even if that means coming in 20 minutes from the end with Palmeiras losing at home. It’s early to assert, but Gareca seems to bother little with pressure. We hear a lot in Brazil that one cannot expose young players to difficult situations, as this will mark them, take away their self-esteem, and possibly even destroy their careers. Gareca seems to think differently: give the kids a chance and they will rise to the occasion – if not immediately, in due time. Or not. That’s all there is to it. Against Avaí, Gareca swapped no less than eight of the players that were on and lost against Cruzeiro. Not because they performed badly, but because he wanted key player fit for Sunday’s derby. True, the derby is very important, but it’s hard to imagine a Brazilian coach, having lost his first two games, send a mixed bag to an important away game: the fear of losing a third straight – and the pressure to follow – would have him assembling his strongest side both in the Brazil Cup and in the derby to follow, allowing him to claim he did what was possible. In stark contrast, Gareca expresses not only confidence in his squad and in his work, but also shows he’s not worried about external pressure or about losing his head. Part of that must certainly also be credited the Nobre administration, who are discretely working on Gareca’s wish list of reinforcements and backing Gareca up in whatever way is needed for him to feel strong. 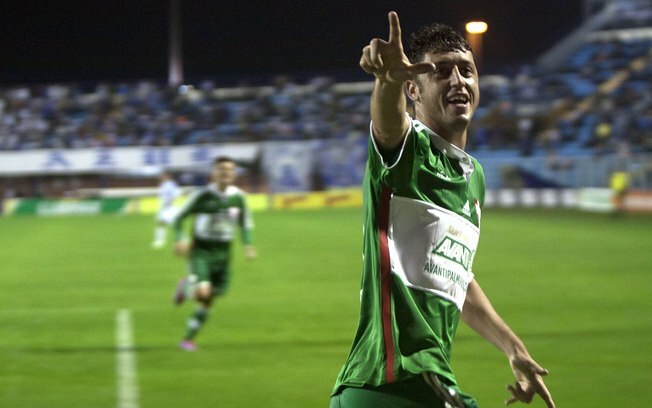 At least yesterday, it went well, with Palmeiras beating Avaí 2-0, both goals by Felipe Menezes. Highlights below. After the game, Gareca participated in the press conference, then a) went to the airport with the squad. b) went to the hotel. c) went out for a good meal and some drinks to celebrate. d) headed back to the Ressacada stadium to conduct a one-hour training session with all players not in the starting eleven against Avaí – including those coming on during the course of the game. Congratulations to those of you who picked option “d”. Actually, congratulations to Palmeiras and all of us for having found such a dedicated coach. Dedicated, yes. But also unusual. Gareca commanded a training session minutes after having won the game. And gave the squad a day off after having lost to Cruzeiro. The return game against Avaí takes place on 6 August, at the Pacamebu. Before that, two games in the Brasileirão: Bahia on 3 August and Corinthians this coming Sunday. There’s also the game against Fiorentina/ITA on 30 July for the EuroAmerican Cup, when Palmeiras will show off their new (and last) centenary kit. More on that later. I’m very optimistic about this new coach.